In today’s world of political, economic and social uncertainty, it is a necessity to prepare yourself and your family of having the means to maintain living. Even if you are in the spectrum of not believing these uncertainties, think about a long term power outage, a severe weather event such a tornado, earthquake, hurricane or blizzard that could cripple your local community. This article will focus on what is prepping, how to prepare to prep for any catastrophic event and how to begin doing so. What is prepping? How is it defined? Prepping is simply preparing for anything that threatens your way of life. That something is a non routine event that impacts your current standard of living. To prep is to have on hand, at all time the necessary supplies to maintain a way of life. When a severe storm system is on the horizon such as a major hurricane in the Gulf of Mexico, what do people who live along the destruction path do? For those who decide to remain home rush to the grocery store and hardware store to stock up on food and supplies to protect their property. Some will, what peppers call “bug out”; get out of harms way by traveling to a safe distance away from the storm’s path. That is prepping. How to prepare to prep. Since we are talking about prepping for anything that happens, below are five prioritized steps to put into action. First, discuss with your family. Not necessarily at this time are you obtaining their support, rather to inform why it is that you are prepping, what are your reasons and concerns to prep. 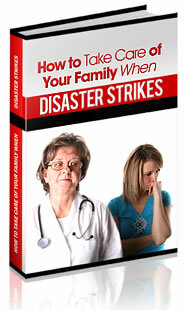 This is the time to start the education process of what prepping is about to your family. Hopefully, prepping will become a fun, educational family activity. Secondly, bug out or stay? Decide if you and your family are going to remain home and ride the crisis out or try to travel to safety. This second step decision impacts your inventory items, quantities as well as storage. Thirdly, what is your length of time? Are you wanting to have enough supplies for three days to a week, a month, a year or two years? This may be hard to calculate, however, if you decide to bug, your travel distance may add a couple more days that you need to have adequate supplies for. Fourthly, do not panic. Regardless if you are wanting to have enough supplies for a week or a month, do not think that you have to spend hundreds or thousands of dollars tomorrow to begin prepping. Do not regret not starting to prep a year ago and begin thinking you have to catch up all at once, you don’t. Prepping is like eating an elephant, one piece at a time. The main point is that you have now decided to prep, so move forward, one step at a time! Lastly, prioritize an inventory. Begin to think of the necessities of living that you need to have an extra inventory on hand. Food, water, electricity, shelter, barter items (tobacco and alcohol), gasoline, are only a few items to start thinking about what you need to sustain a way of life. Of course, this will depend on your decision to stay or to bug out. Once you have the priorities, then decide on how much is needed. For example, one gallon of water is suitable for one person per day. So if you have four people in your family and you want to have supplies for 3 days, you need 12 gallons of water. How to start prepping? Congratulations, you just did the most important, you decided to begin by reading this article. With that decision and knowing the five steps on how to prepare will now take you on a journey that you will enjoy wholeheartedly and not regret for one moment. Deciding to provide safety and security for you and your family during any chaotic event that impacts your way of life is how you begin to prep!